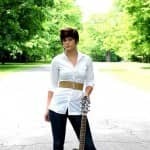 Over the last decade or so I have had the pleasure of watching Danielle Allard’s career take flight. 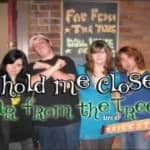 When I first met up with Danielle through her sister, a long time friend of mine, she was the lead singer and song writer for a local band: Far From The Trees. Shortly after I started dabbling in recording their gigs at places like Maverick’s. I also became their webmaster. After a few years FFTT split up, and to be honest, it seemed like Danielle had fallen off the map. It wasn’t till she joined up with an award wining jazz artist and formed Go Long, which is when she release her first CD, Strings Untied. Fast forward a bit (after all I am about to board a train here), and Go Long split, Danielle formed Arrows and Anchors and to be honest, she was the Arrow, her partner was the Anchor (holding her back), thus is of course, personal opinion. After AnA didn’t pan out Danielle went solo and released her first solo CD, Chameleon. Which was one of the best venues I have attended for a local artist. Now today, I head home for her second CD release, Passing Notes. Although I am no longer her webmaster or videographer, I still cheer her on from afar. She is a dedicated individual and a hell of a hard worker… This weekend for sure is not a usual trip home for sure. 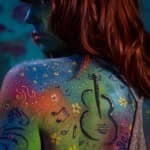 My favourite Local Ottawa Artist is about to release her second CD, which is also her first Solo CD.